Midwest Sports Medicine (Elk Grove Village) - Book Appointment Online! 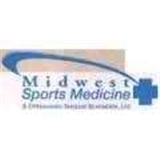 Since 1990, Midwest Sports Medicine has grown to become the premier orthopedic group in Northern Illinois. We offer a team of distinguished, experienced board certified and fellowship trained orthopedic surgeons. We also have a board certified podiatrist, and a pain management specialist. All of our physicians are dedicated to meeting or exceeding your expectations. Nothing pleases us more than seeing our patients back in the game, whether it’s competing on a track or walking with a friend. At Midwest Sports Medicine, we will return you to the best possible condition through the best possible orthopedic care - our only goal is your success. Fantastic! Super caring, VERY smart, unique approach, and believes in what I DO! Everyone deserves a chance to LIVE! Even the “ complicated “ cases!!! Thanks to the WHOLE STAFF...they went above and beyond to help someone “ broken by the SYSTEM!